KJOI is your source for the greatest nostalgia and adult standards hits from the 1950s, 1960s, 1970s, 1980s, 1990s, and 2000s. Broadcasting 24 hours a day, 7 days a week, KJOI can be heard in West Fresno 104.3FM; East Fresno and Clovis 100.5FM, on local broadcast television channel KHSC 16.1, world-wide online via KJOI.org & TuneIn.Com, and via smartphone with the free KJOI app for Apple and Android devices. We invite you to learn more about our station, KJOI’s history, and our leadership. 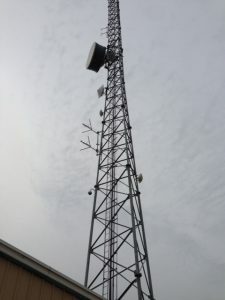 KJOI-FM Transmission tower in Biola California. KJOI is owned and operated by Western Educational Alliance, Inc. (WEA), a non-commercial, non-profit 501c3 organization that is committed to broadcasting commercial-free, family-safe programming with limited interruptions. KJOI’s mix of nostalgia and adult standard programming features more than 100 hit artists and 2000+ billboard chart songs spanning four decades of some of the best music ever produced. KJOI’s programming is occasionally interrupted with community sponsored Public Service Announcements (PSAs), Sponsor Supported Greetings, and Pledge Drives to help continue Western Educational Alliance’s mission of providing 24/7 ad-free all time favorite hits to the Central San Joaquin Valley and beyond. 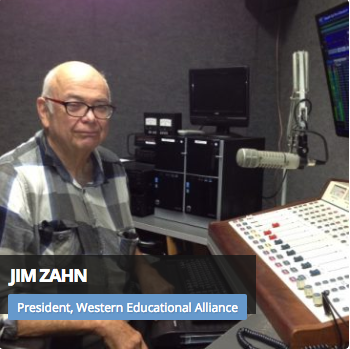 At its helm, is WEA’s founder and president, Jim Zahn. Jim has a long history of television broadcasting excellence and has played a key role in launching multiple stations in the Central San Joaquin Valley. To learn how you can help keep KJOI on the air or to sponsor KJOI, please click here. Jim Zahn, President of WEA in the KJOI-FM Control room. The original KJOI FM99 was launched in Los Angeles. KJOI FM99 launches a new television commercial. Click here to check it out. KJOI FM99 is sold for a record breaking $75 Million. Click here to out the LA Times article. 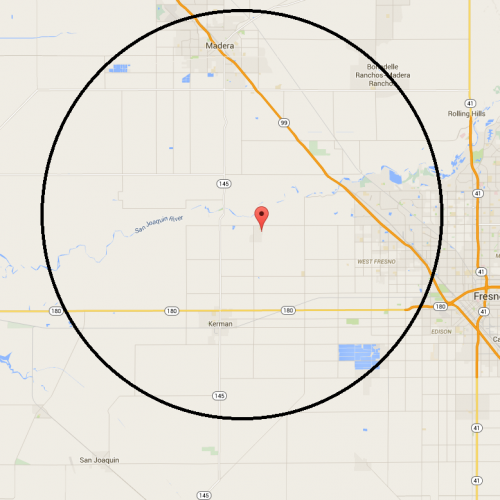 KJWL 99.3 FM in Fresno switches formats from Adult Standards to Adult Contemporary, paving the way to the resurrection of KJOI in the Central San Joaquin Valley area. KJOI 104.3FM, Biola is launched on January 15 by Western Educational Alliance, Inc. founder and president, Jim Zahn as a nostalgia and adult standard station featuring more than 100 hit artists and 2000+ billboard chart songs spanning four decades of some of the best music ever produced. KJOI - Your All Time Favorites!